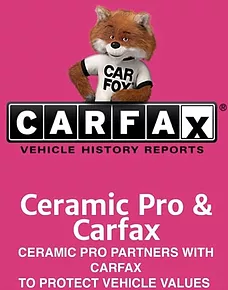 What makes Ceramic Pro stand out from the rest? Hardest paint coating on the market with a hardness above 9H (Normal clear coat has hardness between 2H and 4H. Permanent protection Ceramic Pro 9H is a one-time application if maintained correctly. Once the Ceramic Pro glass shield has cured it can only be removed through abrasion like wet sanding. Glass shield prevents minor scratches to the clear coat and preserves the original factory paint. Any surface scratches in the coating are easily removed with light polishing. Glossy, slick, and self-cleaning properties. Dramatically lowers the surface tension, preventing environmental contaminants such as: bird droppings, bugs, dirt, tar, and graffiti paint from bonding to the surface.